This handcrafted herb planter has 3 compartments for your favourite herb trio. 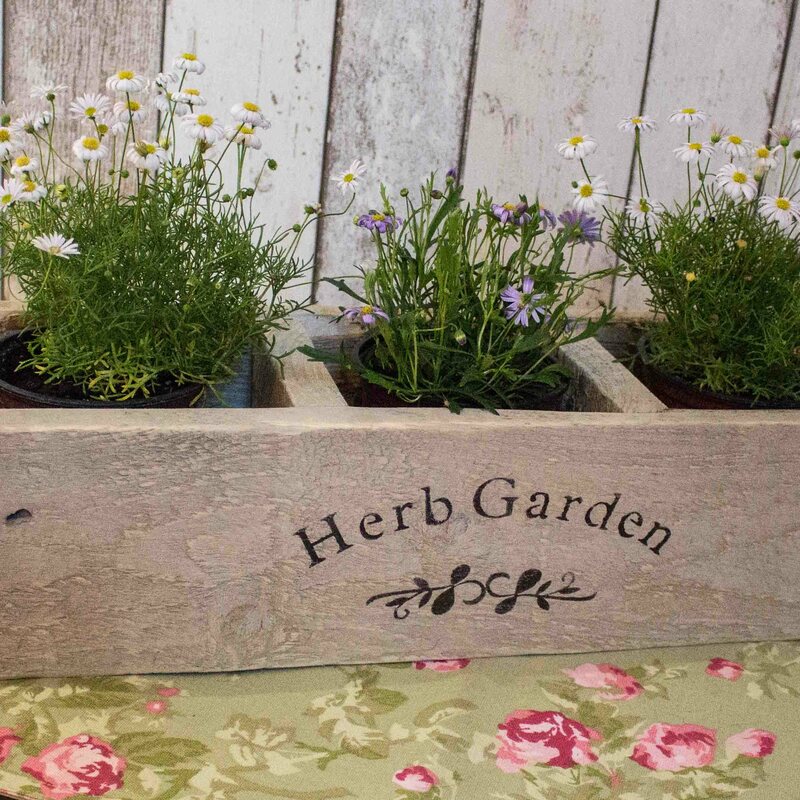 Hand made in the Yorkshire countryside by Fiona and Philip from start to finish, using reclaimed wood they ensure that each of the planters is a high quality product. Put your herb planter on your kitchen window ledge ready to be used when preparing your favourite meal! 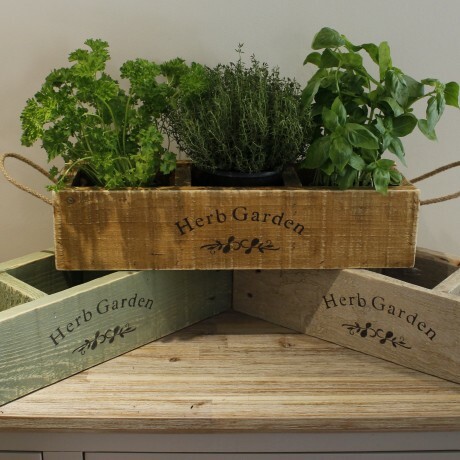 "Our handcrafted herb planters have 3 compartments for a trio of your favourite herbs. We make them ourselves from start to finish, using reclaimed wood, to ensure each of our planters is a high quality product." 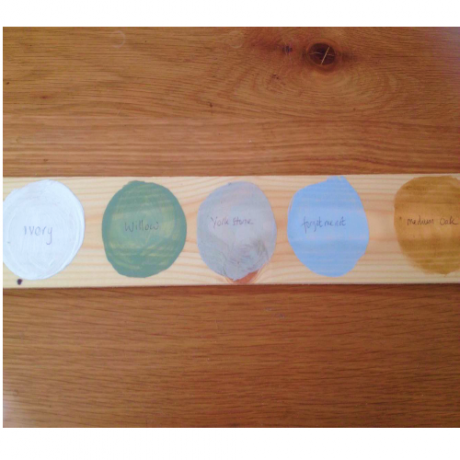 Available in a range of colours to fit in with your decor: Ivory, York stone, Medium oak wood stain, Willow green and Forget me not blue. Approximate dimensions: 500mm (Length) x 160mm (width) x 120mm (Height). Made using kiln dried wood. Great product, great price, loved them thank you! Beautiful product! Fits perfectly on my rustic coffee table! and excellent value for money - thankyou! Really lovely planters and far exceeded my expectations. Really lovely planters and far exceeded my expectations. Very happy. Will definitely be ordering other things from this company. Delighted with the boxes - they look attractive and are just as depicted - looking forward filling them now. Handcrafted vintage style home ware for those whose heart is in the country!